Staff Nurse Florence Auld was born in Redfern circa 1883. She enlisted in the Australian Nursing Corps in 1915 as a single 33 year old staff nurse and embarked on HMAT A38 Ulysses on 9th May, 1917. 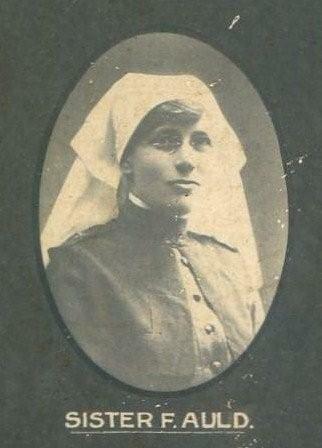 Nurse Auld served in hospitals and medical units in England and France. She returned to Australia on duty in July, 1919 and was discharged on 25th September,1919. Florence Auld is remembered on the Woonona Public School Roll of Honour.